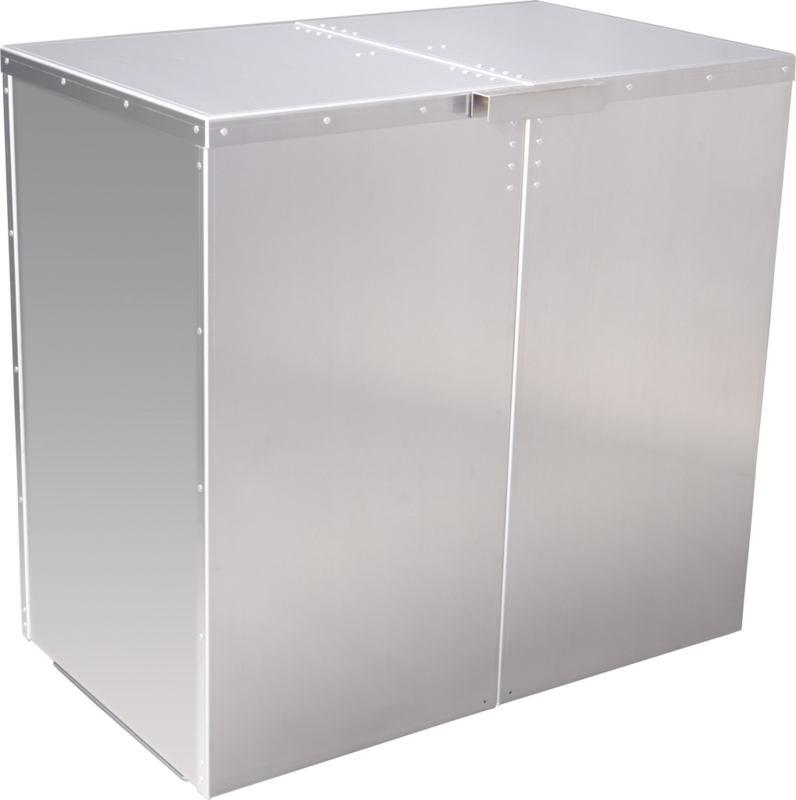 The pump enclosure shall be of a vandal and weather resistant nature manufactured entirely of marine grade aluminum alloy 5052-H32, with a wall thickness of one eighth inch. The mounting base shall be manufacturedentirely of stainless steel. The main housing shall be of solid sheet construction punched on the ends with louvers for ventilation. The enclosure shall be a center split design, having mounting lips on each end. The mounting base shall be submerged into the concrete a minimum of two inches, positioning the enclosure two and one half inches above the concrete for drainage purposes. 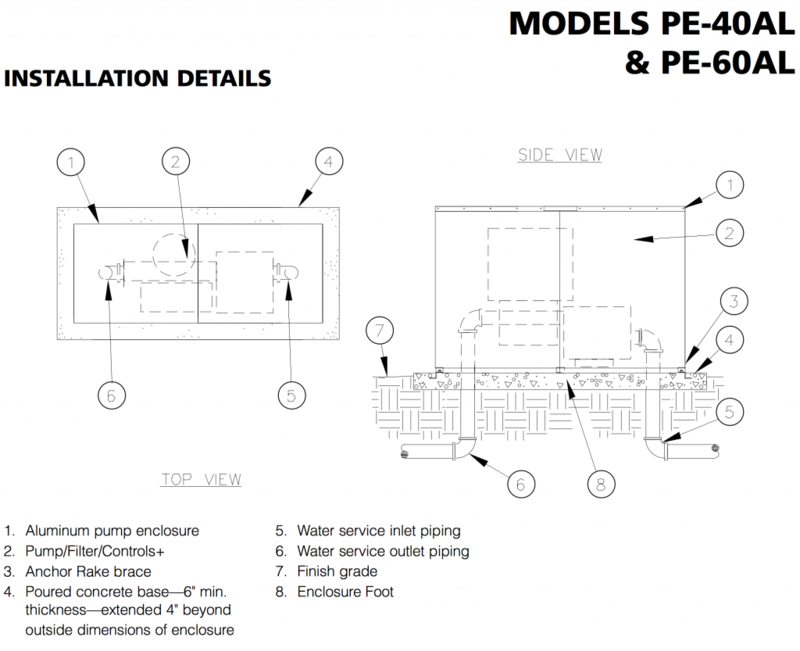 The locking mechanism shall be of the full release type which allows for complete removal of the enclosure from its mounting base without the use of tools. The locking mechanism shall be a Stainless Steel Cross Bar style and provide for a padlock.